'Back When' b/w 'No Clue' marks the debut single release from Raymond James Mason, a vocalist, trombonist (in fact, multi-instrumentalist) and songwriter, now aligned with the continual excellence of Dala Records. The Long Island, NY, native also boasts the distinction as trombonist for afrobeat heroes, Antibalas, but that staggering accolade only scratches the surface of what Mason has achieved since graduating NYU in 2012. Ray Mason's resume leaves little else to be desired as he's able to boast collaborations with not just incredible names within the contemporary funk & soul masters of today, but also with pop and R&B's shining stars as well: with trombone in tow, you can hear Ray Mason's mastery on seminal projects by Charles Bradley and his album 'Changes', Mark Ronson's 'Uptown Special' album including the mammoth single featuring Bruno Mars, 'Uptown Funk', Lady Wray's 'Queen Alone' album on Truth & Soul Records, three tracks on The Get Down soundtrack, including Janelle Monae's 'Hum Along and Dance'... This article alone could be spent gushing over Mason's achievements. And then there's Dala Records! The new singles by Mason round at an already-incredible year for the Brooklyn-based label which has seen releases from Mel & Kim ('Bad Man'), Billy The Kid ('The Stay Strong EP') and Camellia Hartman ('Return the Favor' and 'Breathing Hard (Over You)'), the latter of which is blessed by inclusion of Ray Mason on trombone. Dala thankfully became the natural choice for Mason when considering the transition to front man and vocalist, and after assembling a dream team comprised of long-time friend, collaborator and founder of Dala Records, Billy Aukstik, paired with Alex Chakour, Freddy DeBoe, Joe Harrison and Morgan Price... and the vision was realised. Further demonstrating his versatility, Mason utilises this opportunity to further spread his creative wings beyond the sweet soul and fiery funk he's become most accustomed to. 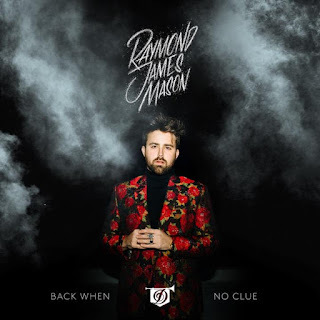 Opting to showcase more styles into his musical repertoire, ‘Back When’ and ‘No Clue’ find Mason’s vocals surprisingly at home on the more rock-based aesthetic born of the collective’s sessions, resulting in a marked departure from what we’ve come to expect from each of the musicians involved as well. This year has yielded some truly excellent releases for Dala Records so fingers crossed that 2019 will gift fans just as many, if not more, musical treats. In the meantime though this new release from Ray Mason is the perfect closing number from Dala for 2018.